We hear a lot these days about supporting all things local and I have to say I’m a big supporter of that idea. And I even try to support local authors because, being an author, I know how difficult it can sometimes be to get any attention for our books. Being a writer, “supporting local” has another meaning for me. 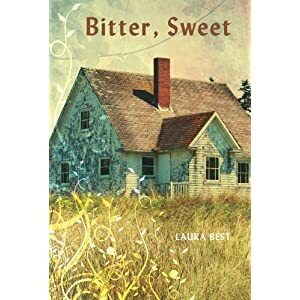 When I set my first novel Bitter, Sweet here in my own little community it was important to me to set a book locally to let readers know that books don’t always have to have some exotic setting, that sometimes our own backyard can be the perfect backdrop for the right story. I’ve continued to use local name places in my books and some of the local “lingo.” My latest book, Cammie Takes Flight is set, for the most part, at the Halifax School for the Blind and uses other local name places. There also a connection to the Ideal Maternity Home in East Chester which was shrouded in controversy and it’s alleged that babies at the home were neglected and even starved to death. I found that to be quite disturbing yet it’ also a piece of our history here in Nova Scotia. And, like all things that happened in the past, it isn’t going away. Most people in Nova Scotia are familiar with the Ideal Maternity Home that was in operation more than half a century ago. While it might not ring a bell for everyone, the story of the Butterbox Babies usually does. 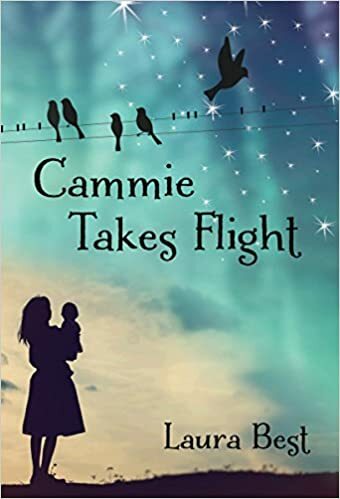 I’ve read quite a few articles and books on the subject while writing Cammie Takes Flight and I’m not at all sure I’ve put the subject to rest. New articles keep cropping up. Here’s one from last December. What went on at the home was tragic and, as you can see from the article, is still very much an issue today for many of the survivors who are still looking to find their roots. Some people will admit to not liking history but I’ve always been a big fan. The past has always seemed relevant to me, a piece of who were are. Perhaps there are things to be learned from looking at the past, trying to understand what life was once like and, hopefully, doing better in the future. So, for now, I’ll continue my writing journey by doing what I’ve pretty much done right from the start—writing stories set in Nova Scotia with local characters that, hopefully, the rest of the world can relate to. Who knows, maybe years down the road, someone will pick up one of my books and they’ll get a small glimpse of the past and maybe, just maybe, that small glimpse will open up a whole new world for them. My backyard might very well be an exotic setting for them. Author Darlene Foster will be a guest on my blog next time. Darlene’s got a new book about to be launched in September. I hope you’ll drop in for a visit. Tagged Bitter Sweet, Butterbox Babies, Cammie Takes Flight, Darlene Foster, Halifax School For the Blind, history, Ideal Maternity Home, local authors, Nova Scotia, Reading With a Pencil. I’m not sure if any of you are old enough to remember the old radio program called, “The Sealed Book.” I discovered it during a conversation with my mother while writing Cammie Takes Flight. I could still hear the excitement in her voice when told me how when the gong sounded it meant the Keeper of the Book had unlocked the vault where the great sealed book was kept. It was in that very book that all the secrets and mysteries of mankind has been recorded through the ages. Just imagine how mysterious that must have sounded to my mum and her friends as they crowded around the radio on Saturday nights. At the end of each episode, listeners were told to tune in next week when “the sound of the great gong heralds another strange and exciting tale from… the sealed book.” According to my mum the show also had sound effects that made it all seem quite real. While doing a little checking online the info I found said the program originally ran between March 18 and September 9, 1945, and was broadcast on Sundays from 10:30pm to 11:00pm. My guess is that the program aired on reruns for years after its original broadcasting which makes me think that it’s good to actually talk to someone who has knowledge of a time period rather than just relying on the information that’s available online. Obviously that’s not always possible and so a writer must do the best job she can to bring that authenticity to the story. Part of a writer’s job when writing historical fiction is to research the time period we’re writing about. All those details add authenticity to the story and help the reader to become a part of that time and place the author is writing about. What many people told me after they’d read my first novel Bitter, Sweet was that they remembered that time so well since they were kids themselves back then. Many of them found it easy to relate to the Burbidges plight because of it. With both my mother and step-father having gone to the Halifax School for the Blind they were able to provide little bits of information I would not have otherwise discovered through research—The Sealed Book being one of those things. There were other little things as well, the note tossing between the boys and the girls during classes when the teacher they had was blind, and the way the boys would sneak out of the school and call the payphone in the lobby asking to speak to a particular girl they had a crush on. 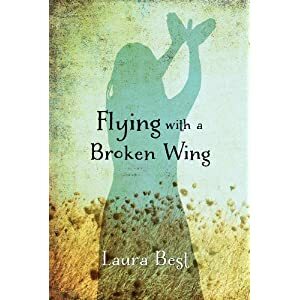 There were other stories as well that I was able to weave into the novel and hopefully when kids (and adults) read it they’ll come to understand that the children who went to the School for the Blind weren’t much different they are. My ARC (Advanced Reading Copy) for Cammie Takes Flight arrived the other day in the mail. I finally got to see and read the story in book form for the first time. It’s such a wonderful sense of accomplishment to know that others will get to read my words and hopefully find something of value in the story. I’ll read through the ARC a few more times to pick out anything that needs changing before it goes for the final printing. Release day is three months away! So, without giving you age away, do any of you remember The Sealed Book or are there any other old time radio programs you might have listened to back in the day? We’ve been seeing leaves of various colours along the roadside. It’s only the middle of August. What’s up with that? Okay, so I’m on a tight schedule here with the edits but sometimes you’ve got to live life. Do I need to be writing a blog post. Nope. But I am just the same. Why? Because I feel like it. Yesterday, we went to a 50th Anniversary party for friends of ours. I snapped the leaf photo on the way home, ground up the veggies for relish to sit overnight, and took a dive into the edits. This morning I cooked the relish and sealed them in jars with the help of Hubby who’s pretty helpful in that department. As I said, my schedule is tight, what with working five days a week and making pickles and relish, but a part of me likes having a date looming over me. It makes me determined to get things the way I want them. I love working on edits and my editor has asked some challenging questions about the the story. I’ll have to turn to my mum to clarify some things about the Halifax School For the Blind because she’s my expert in that department. It’s great having an inside source. Okay, so time to get back into the edits. When things slow down, I’ll let you know a bit more about the book. Maybe even give you a peek at the cover. Gotta go. Wish me luck!